2. Roast 6 ears of corn lightly coated in butter for 20 minutes. Remove from oven and let cool before cutting the kernels off the cob. 3. 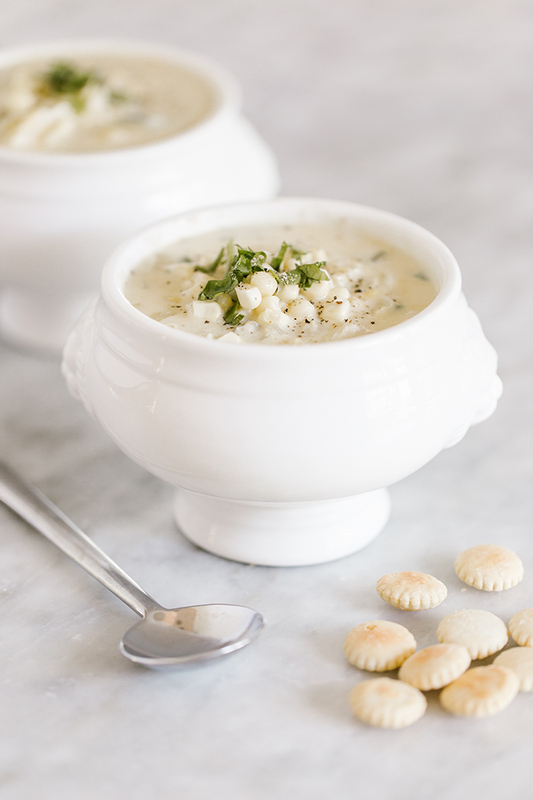 In a blender or food processor, take 1 cup of the roasted corn kernels and ¼ cup chicken broth and pulse until creamy. Set aside. 4. In a large pan, sauté the diced celery and onion in butter on medium heat until the onion is translucent, and celery is tender. 5. Whisk in the creamed corn mixture, remaining broth, and flour. 6. Bring to a boil and stir in the remainder of the corn, saving a tablespoon for garnishing. Reduce heat and simmer for 30 minutes. 7. Stir in blue crab, whipping cream, chopped cilantro, salt, and pepper. 8. Cook about 5 to 10 minutes and place into bowls. Sprinkle with remaining corn, cilantro, and oyster crackers. Enjoy! 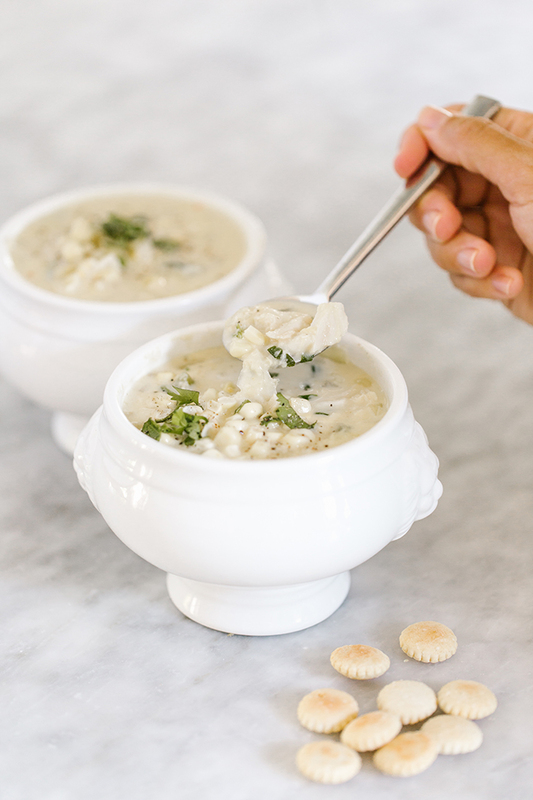 This has to be one of my all-time favorite soup recipes. Not only is it easy and time efficient, but it tastes amazing. 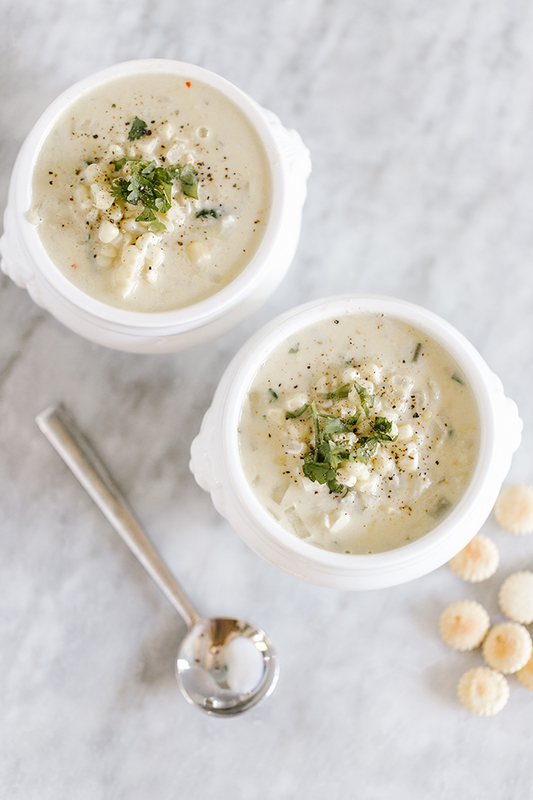 If you’re more of a clam chowder kind of person, all you need to do to modify the recipe is swap out the crab and voila! 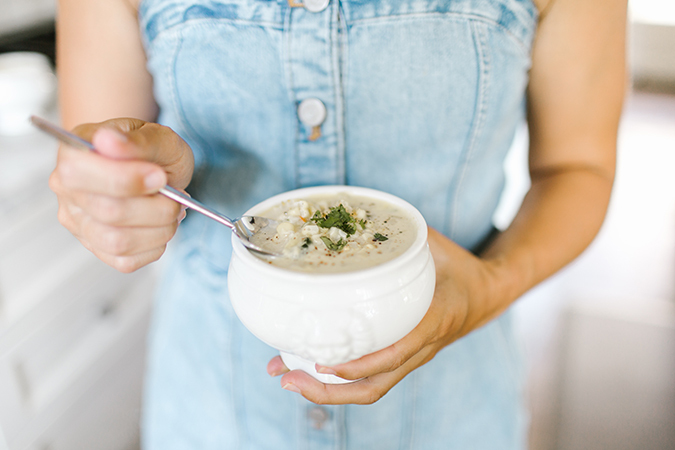 Will you be recreating this homemade corn and crab chowder?